For anyone who would rather create their own beauty potions and balms rather than buy them, you’re going to want to get a copy of Natural Beauty Alchemy! This book is packed with recipes to make cleansers, creams, shampoos, serums, balms, toners, masks and more. 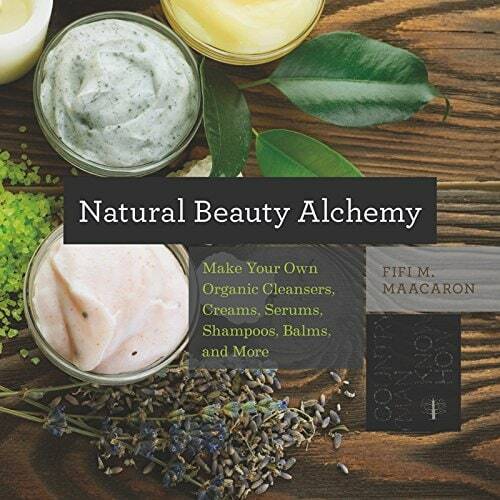 Part recipe guide and part dictionary of what’s good and what’s bad to avoid in personal care products, Natural Beauty Alchemy is a can’t-miss resource of how to choose natural, non-toxic products to apply to your body. Written by Fifi Maacaron, a trained pharmacist who lives in Pennsylvania and Lebanon, she spent three years developing recipes based on her international experiences. I was surprised at some of the things mentioned. Did you know about peach kernel oil or cucumber seed oil? I didn’t. This book truly is a little bit of everything you’d like to see when learning about natural beauty. Simple, brief explanations in each chapter give details on your skin and the nutrients that it needs, what different beauty products are and how they are created, and a whole compendium of more natural choices to choose when making your own products. There are ingredient lists and details about beauty certifications and seals and what they mean on packaging. There’s plenty of information for new natural beauty aficionados, but at least 2/3 of the book is recipes designed to help you create a natural beauty routine that you can make at home. You will need to buy some specific beauty product baseline ingredients, such as oils, but they will last a long time if you decide to make many recipes. Just a FEW of the more than 100 recipes in the book are Anti-Cellulite Body Wrap, Hair Removal Sugar Paste, Eye Makeup Remover, Sunblock, All Natural Hand Sanitizer, Night Magic Potion, and a Walnut Anti-Aging Mask. 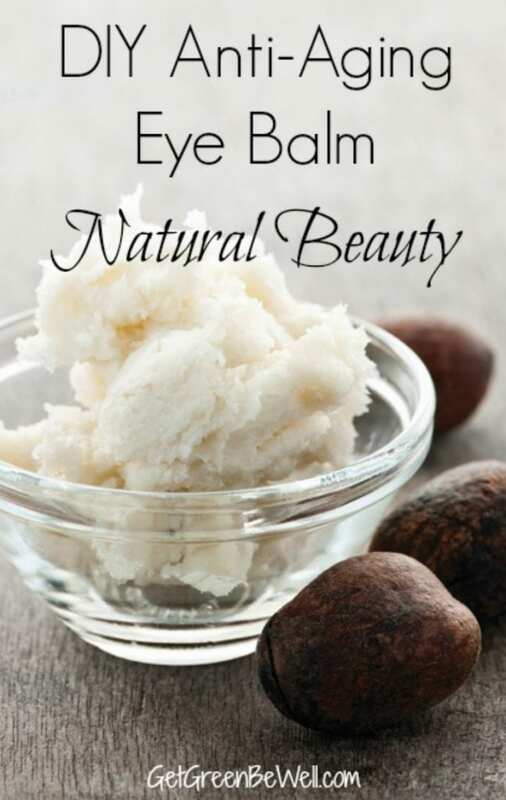 I’m delighted to be able to share a recipe from Natural Beauty Alchemy with you for Anti-Aging Eye Balm. This is just one recipe from the book (Reprinted with permission from Natural Beauty Alchemy, by Fifi M. Maacaron, The Countryman Press 2015). This formula is simple yet extremely nourishing; using it at bedtime brings antioxidants and moisture to the delicate wrinkle-prone skin of the eye area. 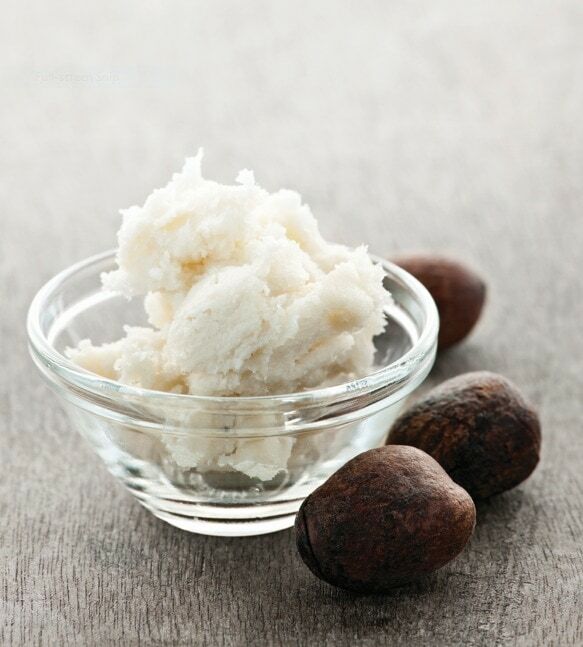 Shea butter is a great moisturizer and can help transport other anti-aging oils such as sesame oil and cranberry oil. The addition of vitamin E will protect the oils from rancidity and increase its presence within the skin. In a double boiler, melt the shea butter over low heat without overheating. Whisk gently while adding the cranberry oil and sesame oil. Add the vitamin E drops, then turn off the heat and continue whisking as you pour the mixture into a small tin box or glass jar. Set aside to cool, and seal the lid when completely cool. Apply in the evening by dabbing carefully around the eyes. Store away from heat, light, and moisture.